The Buffalo Bills made history on Jan. 20 after hiring Kathryn Smith, 30, as its special teams quality control coach, which officially made her the first ever full-time female assistant coach in the NFL. Though generally known as a traditionally male-dominated professional sports institution, the NFL has, in fact, made huge progressive strides regarding gender inclusion. But there's still a lot of work to be done. Smith graduated from St. John's in 2007 with a degree in sports management, when she was offered an internship with the New York Jets. After serving as an administrative assistant to Jets coach Rex Ryan, for whom she interned over a four-year period, Smith followed him to Buffalo where she was later promoted to her current position. Smith's promotion to the Bills' special teams control coach followed another historical move from a NFL team in July 2015. 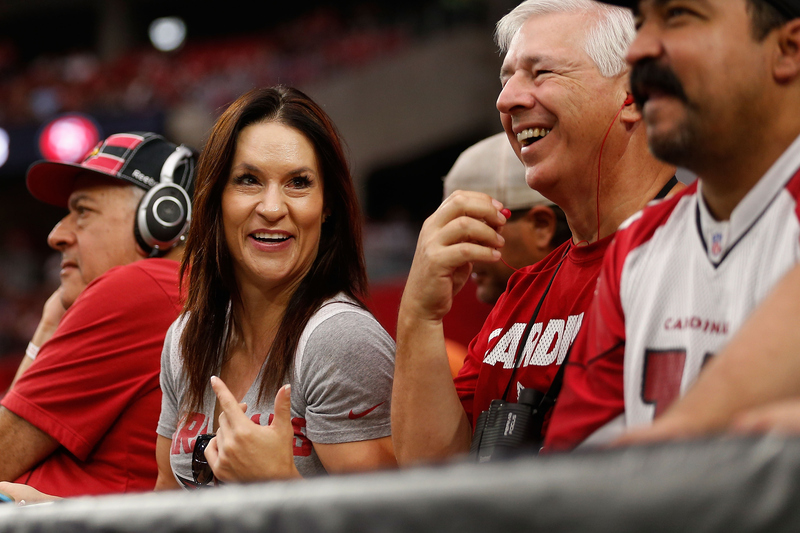 The Arizona Cardinals broke a barrier for women in football administration after Jen Welter joined the team's coaching staff. Welter was hired over the summer to coach during the preseason as a training camp and preseason intern. But while both cases represent a big move for the NFL, it remains unclear whether there will be a continued effort for the future integration of more women into the sports institution. Of course, though it is undeniable that the hires of both Smith to the Bills and Welter to the Cardinals are historic for women in sports professions, the NFL still has a ways to go before it can be considered a progressive administration in the realm of gender equality. The NFL has been accused of doing little to nothing in the face of domestic violence, with a track record of mishandling previous high-profile cases from Ray Rice and Adrian Peterson to Greg Hardy, proving that sports teams and money often come before the rights and health of women. If you look at [players' mistreatment of women and children] historically, [the NFL’s] position on this particular crime in the mid-’90s was that it doesn’t really have anything to do with them. And this is at a time when the NFL's first personal player conduct policy was enacted, which essentially gave NFL Commissioner Roger Goodell the power to hand out suspensions and fines to players who have been convicted of domestic violence. Still, little has changed, as players like Greg Hardy — who was convicted of assault in 2014 — was merely suspended with pay for the rest of that season and for 10 games this season. With 810 total arrest records listed for NFL players, the league has made a $25 million commitment to the National Domestic Violence Hotline over a 5-year period. And while this is an excellent step in the right direction, it's time the institution both hired more women and took domestic violence way more seriously. It's time to work hard and play hard for gender in the NFL.